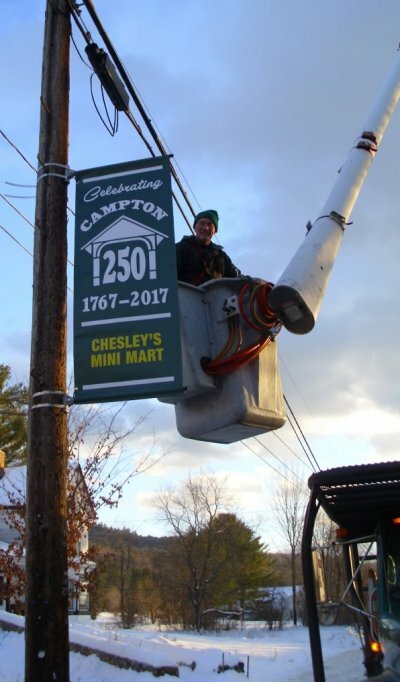 The 250th Celebration Committee, members of the Campton Historical Society, Campton Congregational Church and the Campton Baptist Church worked diligently beginning in October 2016 right through the last event on September 30th planning and organizing events. 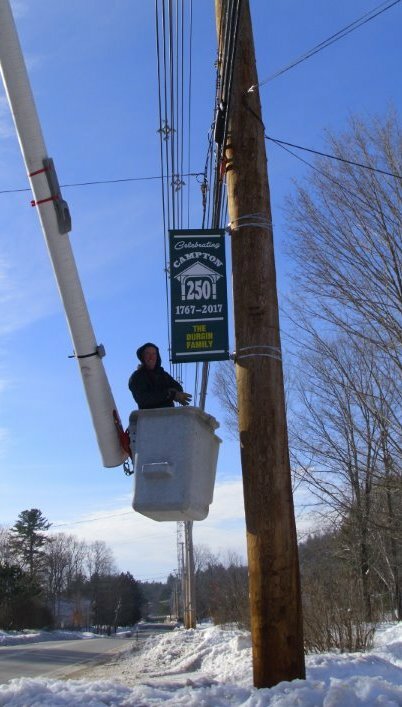 There were three events in 2018 celebrating the Town’s 250th Anniversary. The first was “Explore Campton Day” held on Saturday, August 5th. Unfortunately, it was a rainy day which impacted all of the events planned for the day. However, there were a number of folks who decided that the rain was not going to ruin the day. The day started at 8 am with the Campton Community Spirit Run with 33 folks participating. Between 8 am and 11 am, there was a Firemen’s Breakfast at the Fire Station on Route 49. 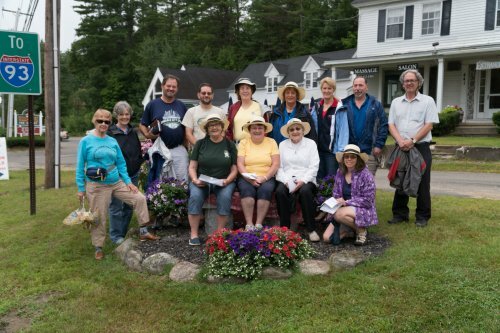 At 10 am, there was an Upper Village Walking Tour, and Canoeing and Kayaking was offered at Perch Pond between 11 am and 1 pm. After the Firemen’s Breakfast, the Fire Department held an open house aimed at kids to learn about all the cool equipment at the Fire Station. The White Mountain National Forest Service offered a tour of its new building off of Bog Road at 11 am, and immediately following the Forest Service tour, there was a tour of the Blair Chapel and Blair Woodlands on Route 3. Lunch with live music was offered from Noon to 1:30 pm in the Community Room of the Municipal Building on Gearty Way. The day’s final event was a guided bike tour of Campton’s Three Covered Bridges. “Community Day” was the second event held on Saturday, August 26th. There was an Upper Village Walking Tour offered again for those who missed the Walking Tour on August 5th. The Walking Tour began at 3 o’clock which started at the Pierce Memorial in front of Woodpeckers on NH Route 49 and continued through Campton’s Upper Village on Main Street (NH Route 175) and crossed over Cross Street to Mad River Road and followed Mad River Road to its junction with Main Street. Interesting information about the history of homes along the route was shared and there was a lot of reminiscing among the folks on the walking tour. 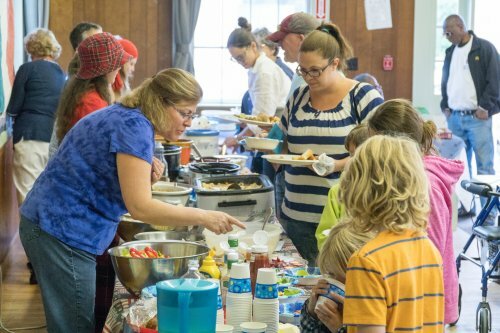 From 5 o’clock to 7 o’clock, the Campton Baptist Church offered an “All Nations Potluck Dinner” in the church vestry on Main Street in the Upper Village of Campton. The food was delicious and there was standing room only! 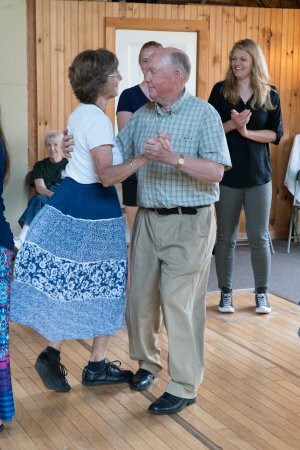 Following the dinner, there was square dancing and great music offered at the Mountain Fare Inn on Old Waterville Road, also in the Upper Village and within walking distance of the Baptist Church, from 6 o’clock to 8 o’clock. There were delicious refreshments and special activities for the children. And as the night and coolness closed in, the Mountain Fare Inn folks built a majestic fire in their large fire pit around which folks gathered to get warm and visit with friends and family. The Grand Gala, Campton’s 250th Celebration Finale, was held on Saturday, September 30th and was spread through 3 locations: the Pattee Conservation Field at the corner of NH Route 175 and Blair Road, the Campton Congregational Church and the Campton Historical Society. The day started with a fabulous breakfast at the Church from 7:30 am to 10:30 pm. The events at Pattee Conservation Field were kicked off at 10 am with a Proclamation Ceremony held in the “Big Main Tent” next to the American Liberty Elm Tree. The Proclamation Ceremony included the reading of Campton’s original charter granted on January 5, 1767 by George the Third of Great Britain, France and Ireland King; a Proclamation by Governor Chris Sununu, a Proclamation by the Campton Board of Selectmen, a history of Pattee Conservation Field and a description of the American Liberty Elm Tree project. Following the Proclamation Ceremony, there were events such as “Juggling Jim’s Circus Performance” in the Main Tent followed by music throughout the day and early evening by Campton Elementary School’s Brass Attack band; Just Because Band; Baker Valley Band and DJ’s of True Entertainment. There was also a terrific display of antique logging vehicles, antique snow grooming equipment and other antique vehicles with owners on site providing great conversation and sharing of history. There were a number of vendor tents offering face painting, kid’s games, arts and crafts and local information about scouting, Daughters of the American Revolution, etc. There were pony rides for the kids and horse wagon rides for all ages throughout the day. The Forest Service’s Smokey the Bear paid a visit shaking hands with kids of all ages! Peppersass was on site which was the original Cog Railway train built by Sylvester Marsh who grew up in Campton. Food, food and more food was provided by several local food vendors including a great BBQ in the evening sponsored by the Sunset Grill. Events at the Campton Historical Society kicked off at 10:30 and ended at 2:30 p.m. 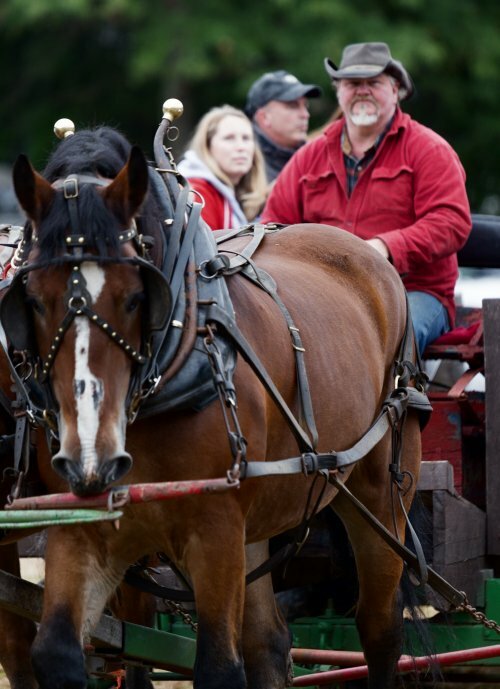 Demonstrations included: Weaving, Tinker Tools Unusual; Beekeeping; Antique Bread making; Fiddle making; Harpsichord making; pottery; clocks; Star Spangle Banner’s 2nd version; Farrier; Chair caning, Black Smithing and Newfound Woodworks Cedar Strip Canoe, Kayak & Towing Boards. There was a free ice cream social and bean hole beans cooked in the ground the night before! In the “Big Main Tent” there was a “huge” Celebration cake shared by all followed by a splendid 250th Celebration Fireworks display that ended the celebration festivities. Andrews Construction for lending and setting up the two light towers for the Pattee Field! Suzi Preston and the Mountain Fare Inn for hosting the August 26th evening event providing room for dancing, arranging children’s games and hosting the evening. Steve and Kelly Devine for donating and serving the fantastic BBQ dinner at the Grand Gala finale. To all others who volunteered “behind the scenes” to make our Celebrations a success. The Campton Historical Society (CHS) worked months reviewing Campton historical pictures and events and put together a 127-page pictorial history entitled “Images of America CAMPTON”. The book is available at CHS located at 529 NH Route 175 and the cost is $22.00. Office hours are most Thursdays from 10 to 1. Mail address is PO Box 160, Campton, NH 03223. The Committee arranged for a number of 250th memorabilia including the license plate topper, buttons, mugs, hats and shirts. All of these are still available at the Selectmen’s office in the Municipal Building on Gearty Way. NOW 50% OFF! Campton 250th T-Shirts, Hats, Coffee Mugs & More! Contact the Selectmen’s Office for more details. NOW ON SALE! Campton 250th T-Shirts $10-$15. Contact the Selectmen’s Office for more details! Stop by the Selectman’s Office and pick one up! Thank you to all of our supporters…. The 250th Banners were a huge success. The 250th Committee was overwhelmed with the support shown by all the local organizations and business. The banners are up!! We’ve started the celebration with the installation of these “show your support banners”. Look for them around town. Check out other “Support the Celebration” items at the Campton Town Office. A big thank you to TOP NOTCH TREE SERVICE.